Tall guy: Oh my gosh! Short guy: What is it? Tall guy: Did you see that guy? I wonder how tall he is. Do you think he plays basketball? I bet his parents are tall. 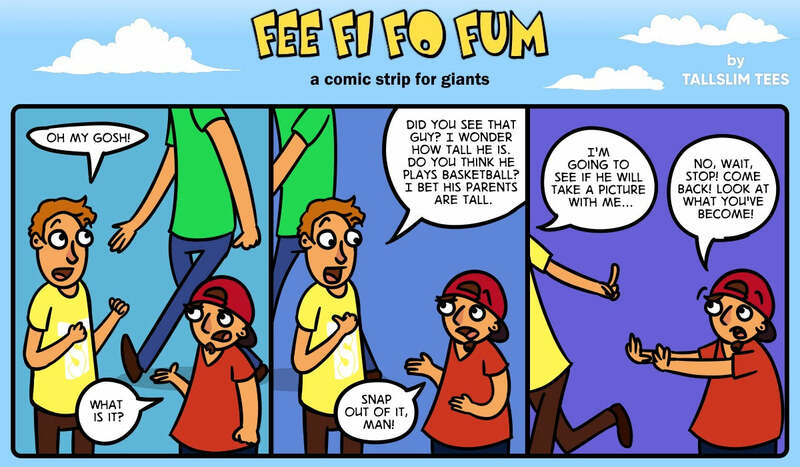 Short guy: Snap out of it man! Tall guy: I’m going to see if he will take a picture with me. Short guy: No, wait, stop! Come back! Look at what you’ve become!